Built in 1976 and 1980, Wailea Elua is one of Wailea's first properties, enjoying an enviable beachfront location in the master-planned, resort community. Consisting of one hundred and fifty two units sprawled across 24 acres of prime Maui real estate, it has varying floorplans sure to satisfy the most discerning buyer: from 1 bedroom / 1 bathroom (891 square feet) to 3 bedroom / 2 bathroom (1,749 square feet). Owners and guests enjoy the privacy of gated entry, as well as use of Wailea Elua's two pools, jacuzzis, putting green, and paddle tennis courts. 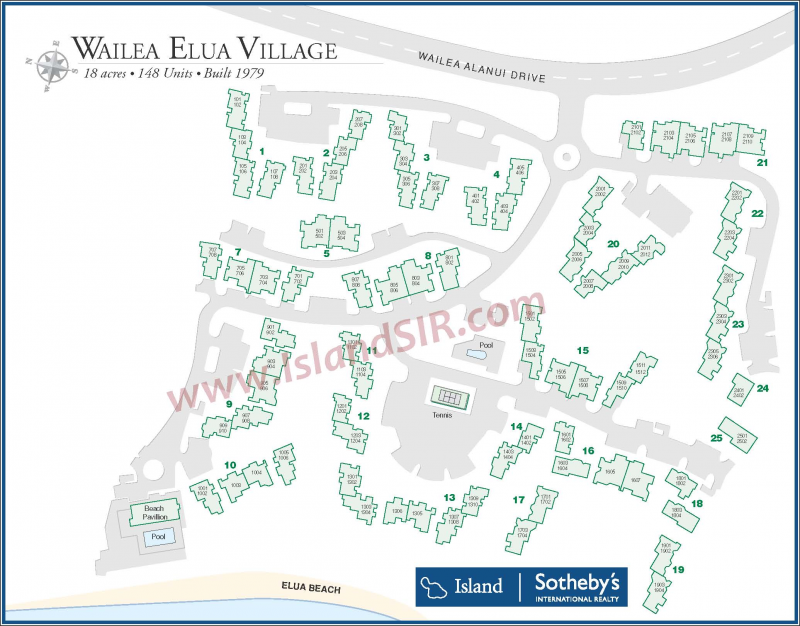 Thinking of purchasing or selling a Wailea Elua condo for sale? Contact us for a private consultation - our team encompasses some of the utmost experts in the Wailea real estate market who would be happy to answer any questions.